While we’re always down to day-drink and eat soft pretzels, we understand glugging brews served in das beer boot can be, y’know, trite. That’s why we’ve rounded up some of the best Bavarian happenings this weekend that offer unique perks in addition to the usual suds-soaked festivities. And don’t worry if you can’t celebrate this weekend. 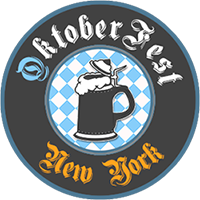 Oktoberfest eventscontinue through October, too. 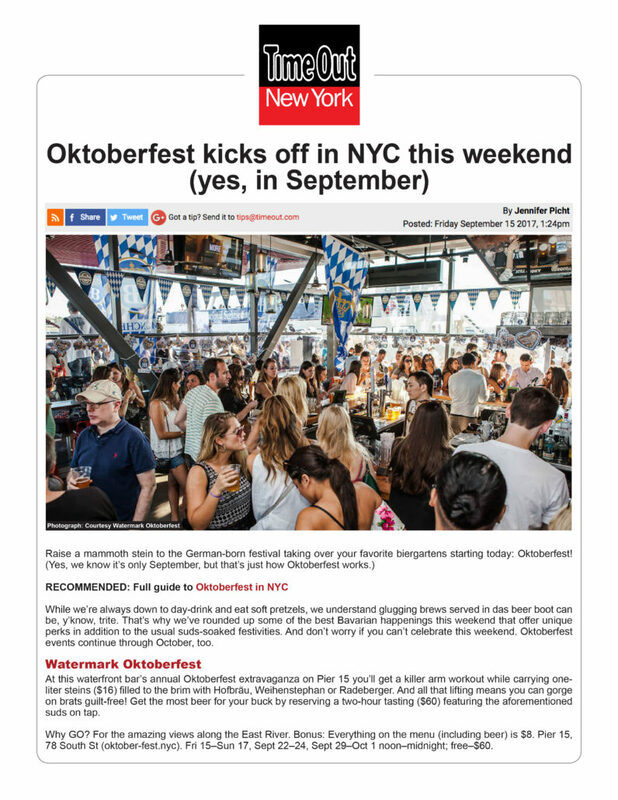 At this waterfront bar’s annual Oktoberfest extravaganza on Pier 15 you’ll get a killer arm workout while carrying one-liter steins ($16) filled to the brim with Hofbräu, Weihenstephan or Radeberger. And all that lifting means you can gorge on brats guilt-free! Get the most beer for your buck by reserving a two-hour tasting ($60) featuring the aforementioned suds on tap. Why GO? For the amazing views along the East River. Bonus: Everything on the menu (including beer) is $8. Pier 15, 78 South St (oktober-fest.nyc). Fri 15–Sun 17, Sept 22–24, Sept 29–Oct 1 noon–midnight; free–$60.